Your first job, as a hostess, is making your guests feel at home. No matter how long they're staying, put these ideas to use and you're sure to have a house full of guests every single weekend! The best part of hosting guests is hearing them cheerfully exclaim that they can't wait to come back. Get into a great hosting routine and not only will your guests be impressed, you'll spend less time prepping next time they come over. When it comes to entertaining for dinner, focus on companionship and conversation, not on fancy food. Make your guests feel at home with a casual meal that's fun to eat. Serve various tapas or appetizers, allowing guests to make up their own plates. Turn off the TV and (politely) discourage cell phones to encourage conversation. Set up an ice cream or frozen yogurt sundae bar with basic toppings for dessert. Mix and match dishes for an eclectic, fun dinner table. If you really want to impress a guest, don't make her feel at home. Make her feel like she's staying at a hotel. When you have overnight guests, transform your bathroom into a clean, neat hotel bathroom with these simple tricks. 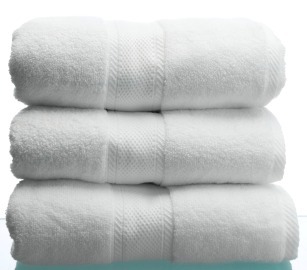 Stock your bathroom with fluffy white towels and washcloths. Tuck travel-sized toiletries and individually wrapped soaps in a small basket on the bathroom counter. Don't leave your own personal items, makeup or toothbrushes out on the counter. Give the toilet a good scrubbing the day of your guests' arrival. Don't have a guest bedroom? Don't worry. Use creative storage and bedding options to make your kids' rooms easy to convert into comfortable sleeping spaces for guests and their families. A quick bedding change and an hour cleaning up can transform a well-organized child bedroom into a guest bedroom. Don't give away that crib mattress. Store it under a bed for wee guests. Consider bunk beds or keep a guest cot in the garage. Use creative storage to get toys off the floors and other surfaces. Give your child adequate time to move his or her personal belongings out of sight if desired. Not everyone adjusts well to spending the night somewhere new. To make your guests feel comfortable (and encourage them to return), promote a good night's sleep. Offer white noise in the form of a sound machine or fan. Make sure bedding has been freshly washed and is free of pet dander. Keep a few extra pillows in your linen closet for guest use only. Try to offer your guests sleeping spaces that are relatively dark. Cover kid's night lights and electronics.